Thank you for these lessons Blake! I learned so much! I love this technique.. and the outcome is surprisingly nice .. although I will have to practise a lot to master it.. I had a few problems.. Sometimes I could not click on the right triangle and had to move others around to click on them. This was probably part of the next problem, namely that there were a lot of white lines/gaps between the triangles. I now fixed it by enlarging some of the triangles but do you have a tip to avoid this the next time? 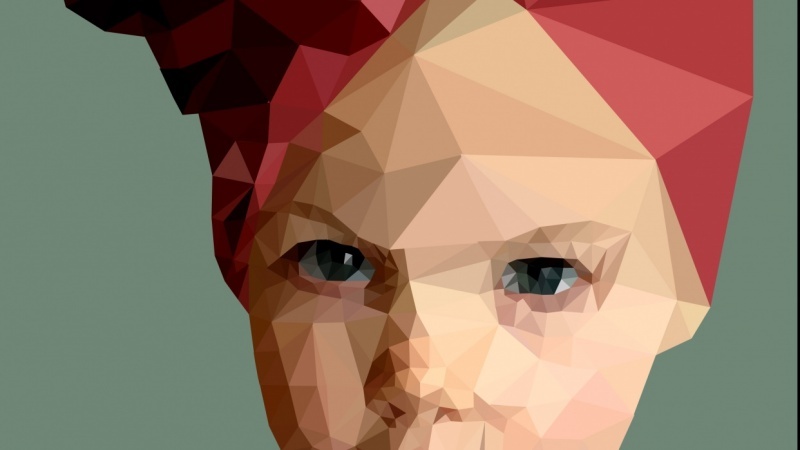 Also I am not completely satisfied with the composition of the triangles on the forehead, nose and left cheek. Do you have any tips for that? Thanks! A very handy trick I learned from the video lessons of Lucas Ridley is that you can create your own shortcuts via Window>Actions and assign them to your Wacom tablet or keyboard. For the aligning part and the colouring part this saves you a lot of time.